In this morning’s backyard drama the tiny green bird has crashed into the glass of the sliding door and lies feet up and claw-splayed on the brick patio. A chipmunk, not much larger, approaches cautiously, and behind it, a rabbit nails its hopping halt, eyeing it. Within ten feet of me, a scene containing all the ingredients for tragedy or comedy. I wait patiently for it to play out—irony, brutality, redemption, holiness. But the bird just further stiffens into rigor, the chipmunk scurries off, its tail startlingly erect. 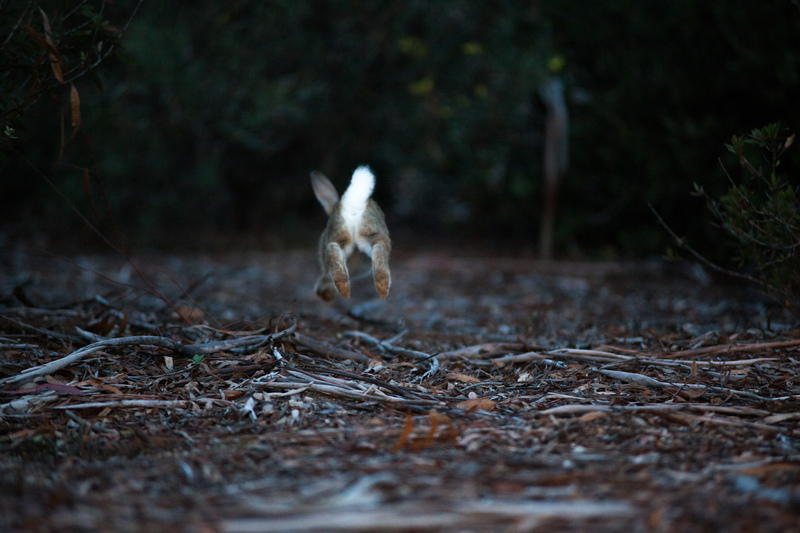 And the rabbit, a-twirl, rushes off to raid the neighbor’s cucumbers. Leonard Kress has published in Massachusetts Review, Iowa Review, Crab Orchard Review, Harvard Review, and elsewhere. His recent collections: The Orpheus Complex, Thirteens, and Walk Like Bo Diddley. He teaches at Owens College in Ohio and edits creative non-fiction for Artful Dodge.